Information combining maps from Swisstopo with weather data from Swiss Meteo shows that if all the roofs of Switzerland’s buildings were fully equipped with solar panels they’d produce 50 tWh of electricity a year, around 83% of the 60 tWh of electricity consumed annually, according to the Swiss Federal Office of Energy. 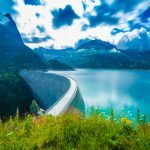 Combined with Switzerland’s hydro and wind output, this solar power would make Switzerland a significant exporter of clean energy. If starting from scratch at today’s prices, covering all Swiss roofs would cost around CHF 100 billion, about 15% of Switzerland’s annual GDP. This figure excludes government subsidies. At a price of CHF 0.08 per kWh these solar panels together could produce CHF 4 billion of electricity in their first year. 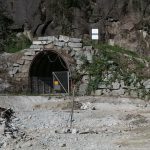 Over a 30 year lifetime they would produce roughly CHF 108 billion of electricity, more than the CHF 100 billion cost of installation – the calculation includes straight-line degradation to 80% output after 30 years. 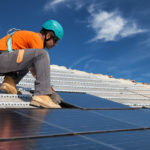 To some extent the lifespan of solar panels is unknown, although most come with guarantees that they will produce 80% of their starting output after 25 to 30 years. The main ingredient in a solar panel is glass, most of which can be recycled. Research shows that solar panel recyclability of 96% can be achieved. A website has data on the solar generating potential of nearly every roof in Switzerland. After inputting an address, the information is displayed. A typical Swiss house could produce around CHF 2,000 of electricity a year. The same website provides similar information on the solar power generating potential of buildings’ walls. The same house could produce another CHF 1,000 from its walls, bringing total annual output to CHF 3,000. Every year Switzerland imports and exports between 50 and 90 tWh of electricity, more than the 64 tWh it produces and the 60 tWh it consumes. More than a third of Swiss electricity is produced from non-renewable sources, mainly nuclear.